By the 1960s, Oxford House had found itself in a re-developed and depopulated East End borough. Once an overcrowded area with a cheerful communal chaos of the back-to-back terraces, Bethnal Green now faced new challenges such as isolation, seemingly an inevitable feature of modern high rise flatted housing schemes. The profound social changes found an echo also in Oxford House, which was in transition from a settlement to a community centre. Confident that the community’s affairs should be a lively concern of its people, OH encouraged local participation in its management and activities through the Community Association, established in 1950. Under the headship of Revd John R. G. Ragg, the House engaged in social welfare also on the ‘scientific’ level. In 1961, it launched an innovative scheme to set up a training field station for Oxford students of social, industrial and public administration in collaboration with Barnett House, Oxford. 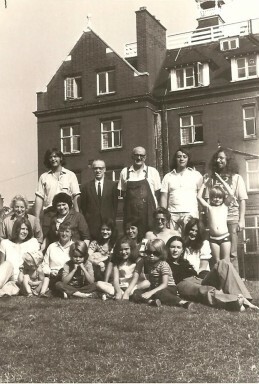 Abandoned in 1964 due to the increasing financial struggles of the House, it was followed by another enterprise, the Oxford House Day Unit, which aimed to study the psychological aspects of children in family and social settings. By the end of the 1960s, the House had almost come to a standstill. Left with no money to pursue its ambitious projects, its premises were used only by a couple of Community Association groups. A wind of change came in 1971 when Revd Andrew J. Smith became director. With the support and fundraising abilities of the newly appointed chairman of the Council, Peter Scott, he re-launched the house after a three-month closure. The new projects addressed the deficiencies of housing, employment and education and put great emphasis on youth work. Summer play schemes, workshops and innovative programmes such as the Intermediate Treatment Scheme with young offenders found home in the red-brick building. 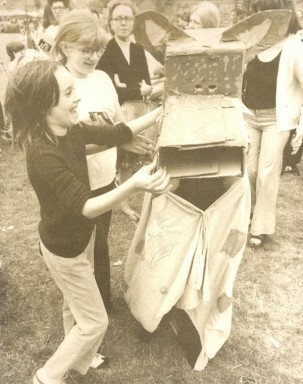 Oxford House retained its pioneering spirit and sensitivity to its surroundings also under the new director, David Clarke, who took office in 1976.